Today Broulee is a popular place and a real population centre. However it has not always been so attractive and so popular. Where land and property is relatively easy to sell and expensive to purchase now, it wasn’t always the case. 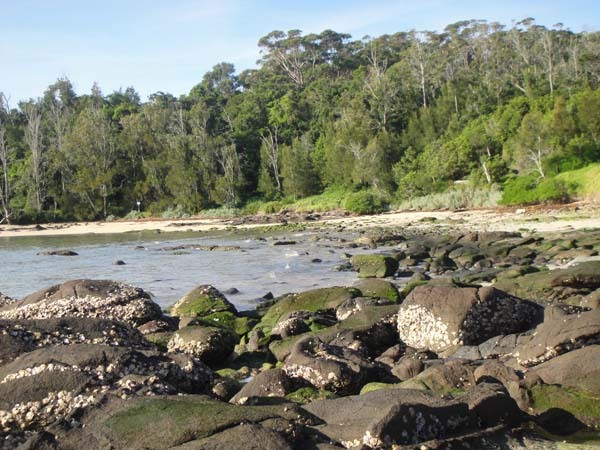 The first port in the Eurobodalla area was established at Broulee. 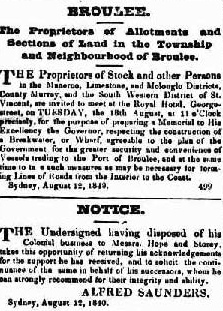 As a dangerous sand bar at the mouth of the Moruya River caused difficulties for smaller ships and prevented access to the Moruya River by larger ones, it looked as if Broulee was to be both the main port and administrative centre for the district. 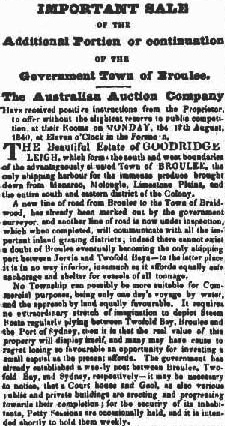 The Broulee area had been surveyed by a Mr Lamar and finally gazetted in 1837 and land sales commenced in 1840 when a post office was opened, receiving mail weekly overland from Braidwood. The ‘island’ was planned into an area of eight streets and 55 blocks. On the mainland it laid out the area bounded approximately by Clarke to Albert streets and by Massey Street to Harbour Drive. It was hoped that the blocks would be bought and developed by the investors from Sydney and was actively promoted as a sound investment. 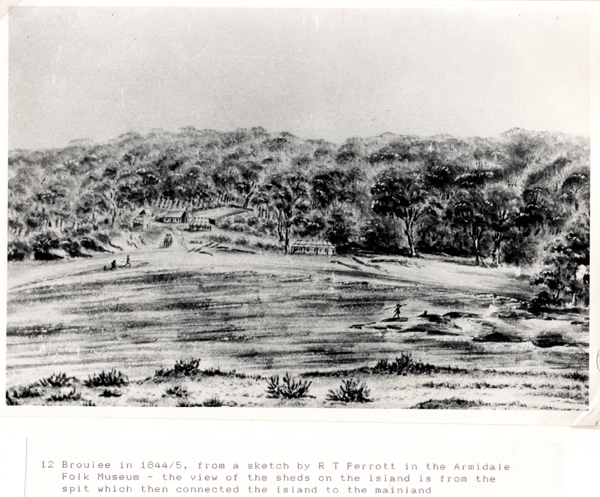 In 1840 Broulee became the site of the first court in the district and, the following year, was made the centre of a police district which covered the area from Jervis Bay to Eden. Note: This plan forms the background of this blog. By 1839, Broulee consisted of a Police Station , with three constables and the Court was set up with Captain Oldrey and John Hawdon as its magistrates. 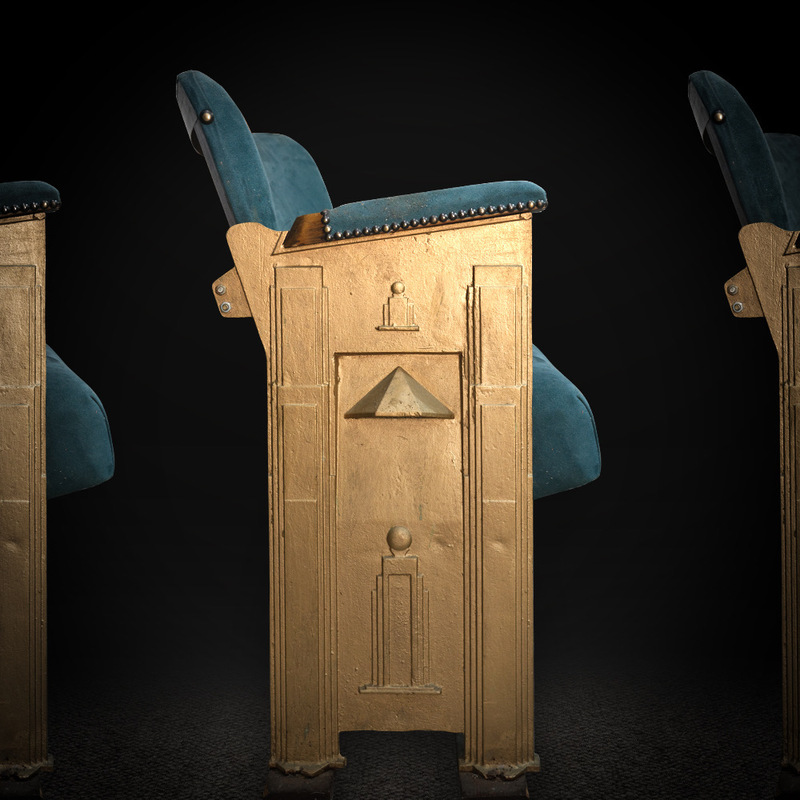 Later, Francis Flanagan, William Campbell and others were added to the Bench. There was a Clerk to the Court, a Scourger and a Pound Keeper/Postmaster. The Erin-go – Bragh Hotel was built on the island. It was not a significant place. The census of 1841 recorded that Broulee contained 6 buildings and 46 people, 40 of whom, including convicts, were working for Captain Oldrey. “District of Broulee, 16th. Dec., 1840 “SIR, – After a tiresome journey from Braidwood over a most mountainous road, I arrived at this place a few days ago, having been induced to visit it from certain passing accounts of it which have appeared in the Sydney papers, vaunting the excellency of its harbour, land, &c., but, after a patient investigation of the whole country, I find I have, like many others thrown my time away to very little purpose. Being here, however, and being thoroughly disgusted with all I have seen and heard, I take advantage of a leisure hour and opportunity to Braidwood to forward to you the following description of its situation, prospects, and local government. “And first, allow me to observe upon the township, that is an isolated promontory of wretched land, and small extent, forming the south head of the bay, and surrounded by deep sand in all directions where the sea does not wash. Harbour for anything larger than 100 tons, there is none – and I question whether a vessel of that tonnage would be safe in a N.E. gale of any strength. Let any one look at the Broulee Bay, and he willunderstand this at a glance. Lictor went on to provide directions from Broulee- emphasising the scrubby ranges, the loose sandy scrub and its utter worthlessness. 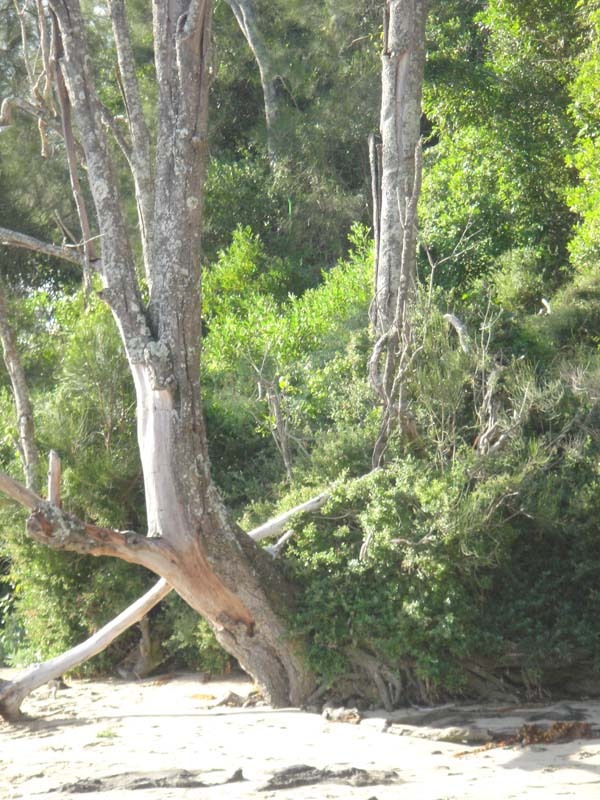 “First, 3 1/2 miles from Broulee, loose sand and rotten swamps. “Next, 9 miles low scrubby ranges. “Last, 2 miles good pasture land. “This is the road by which the two to Braidwood, over the Araburn [Araluen] and Cabbage tree roads. 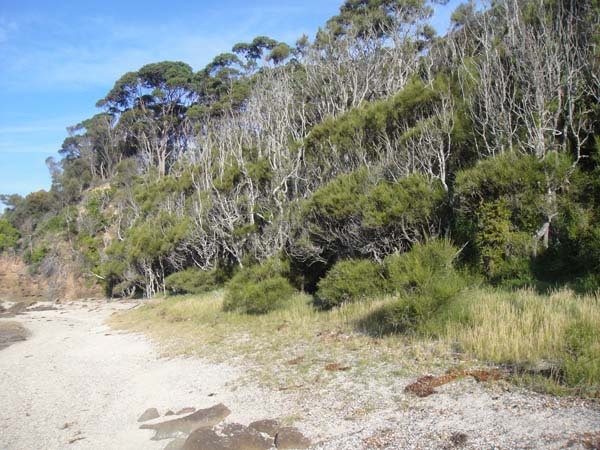 “First, 4 miles from Broulee, loose sandy scrub. “Next, 2 1/2 miles scrubby ranges. “Last, 1 mile pretty good pasture and cultivation. “Take the a straight line on the map from the points Kiora (belonging to Mr. Hawdon,) and Buckenbower [Buckenboura], and you enclose a pretty large space of land, which, with the exception of the properties of Captain M’Lean, P.S.C., and Messrs. Hawdon and Flanaghan, all on the banks of the Mooroo [Moruya] River, it is utterly worthless for any purpose whatever, unless it may be a few small spots here and there about 5 miles from Broulee, under cultivation by small settlers. Lictor also implied that the development of Broulee was a misappropriation of public money and involved curruption – a familiar theme even today! Yet Mr. Editor, public money is to be thrown away upon making a public road from Braidwood to this insignificant township! It will in fact be a complete misappropriation of money, to expend any sum, however small, upon such a miserable country; and as to a town on Broulee Head ! Pray where is there a country to support a hamlet, to say nothing of even a village ? The thing is preposterous in the extreme, and smells strongly of back-door interest. “But the greatest drawback under which this small community at present labours, is in the very shameful manner in which they are treated by having no proper persons to form a Bench of Magistrates. Last year, as I am informed, the district was a peaceable little place, but now ! I never saw or heard of such a perfect hell upon earth. There are I believe a few Magistrates, but they are occasionally absent, and during their absence the district is left in a most lawless state. “There is one more abuse to which I must call your attention, and that is the way in which they manage Post-office affairs here. The place where the post is at present delivered is at the temporary Court House, (the new Court House not having been as yet commenced, although the lock-up is,) and the road to it is so very bad that settlers in the neighbourhood do not like trusting valuable horses upon it, as it is nothing but a series of sand, bog and scrub all the way. Now why should they not have the post either at the township at once, or which would be the better plan of the two, at some station on the Mooroo [Moruya] River ? I am sure were our worthy Postmaster’s attention properly called to this it would be done at once. His having altered the line of road from Braidwood to Bateman’s Bay will prove of very great benefit to all the settlers here, and will, as I am informed by the contractor, save a considerable time, expense and risk. “The greatest want in this part is good water. By the way there is no water fit to drink on Broulee, nor good with 1 1/2 miles of it; what fresh water there is being drainage from swamps. Lictor goes on to ominously sign off with these last words, indicating that the edito and the readers haven’t heard the last of Lictor on the subject of the proposed development of Broulee. ← Moruya’s First Regatta Australia Day – 151 years ago. I wonder where the name broulee comes from? aboriginal?nglish?